From the end of 15th century to the end of 16th century in Japan was called Sengoku era where there were number of huge battles everywhere. Though there were many famous military commanders during this era, Nobunaga Oda was one of the most famous military commander of this era and there remains a number of visiting spots related to him. He applied various ideas, was able to have the biggest power but was assassinated just before dominating the the whole country and it was another military commander who dominated the the whole Japan. Nobunaga Oda was born in 1534 and during his childhood and adolescence, he was called the biggest fool of Owari. Nobunaga at that time made many weird acts for the son of military commander such as to spend time with village folks, so he wasn’t expected to be a good commander. However, once his father Nobuhide died, he won the family succession battle, defeated every opposing power in his country and at last, conquered the the whole county of Owari showing his excellent ability as a military commander. After reigning Owari, Nobunaga Oda started to have larger power in order to dominate the whole Japan. One of the most important battle was the battle of Okehazama. Nobunaga launched a sneak attack with small troops to the nerve of the most powerful army of Yoshimoto Imagawa. It was a very daring strategy but with that, he lowered the power of Imagawa and had his name known to the the whole Japan. After that, he made alliance with house of Matsudaira and house of Asano to expand territory. He started to use the stamp of Tenka-Fubu and to act to achieve the goal of dominating the whole Japan. Nobunaga Oda, aiming to dominate the whole Japan, continued fighting various battles and had great results. He started to have strong vassals such as Ieyasu Tokugawa and Hideyoshi Toyotomi but among them, there was Mitsuhide Akechi. Though Mitsuhide was an excellent vassal, when Nobunaga Oda went to Honnoji with few of his guards, Mitsuhide betrayed him and attacked Honnoji. Nobunaga Oda is said to have died in the fire so this incident is called Honnoji no Hen and is famous as the moment when Japanese History largely changed. When talking about Nobunaga Oda, it is important to pay attention that he had great result in a number of battles. For example, in the battle of Nagashino. 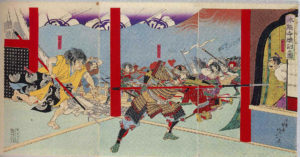 In this battle, he said to have applied strategy to efficiently use gun and by continuously firing gun in turn, they defeated the horse troops of Takeda. Also, he was good at finding followers and actively hired those who have unique ideas and not only his own family. Also, he fought the battle of Okehazama and defeated the alliance of neighbor military commanders passing his days in battle. 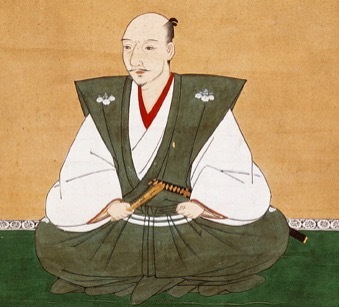 Though Nobunaga Oda didn’t dominate the whole Japan, each Daimyo had his own way in reigning his country so Nobunaga did his own reign in his country. For example, policy called Rakuichi-Rakuza is a rare system in which village folks are not charge of tax. By encouraging people to work as village folks, Owari country developed significantly as merchant country. Also, he abolished Sekisho installed everywhere in Japan as the point of transport and made the transportation of product easier and smoother. It resulted in Owari developing as merchant’s town. With this business, Owari developed a lot and it affected even the culture of Edo period. After the death of Nobunaga Ida, Christianity was oppressed and Japan was closed to foreign country so we might have image of Japan not having any relationship with foreign county but actually, during Nobunaga Oda’s era, Japan was actively absorbing foreign culture. There is a record saying Nobunaga Oda liked new, rare things and he is said to have received various gifts from missionaries. He put armor of European style and wore it with red cape so it was quite unique among military commander at that time. Also, recently, there is a study showing he had a black servant which might be the reason he was thought to be free from old customs and with free imagination. Though Nobunaga Oda didn’t dominate the whole Japan, he is highly evaluated as a man with new idea. He did have some extreme aspect such as to burn down temple but research about him still continues and with all possibility of new figure and stories, many of Japanese people are still attracted to him.